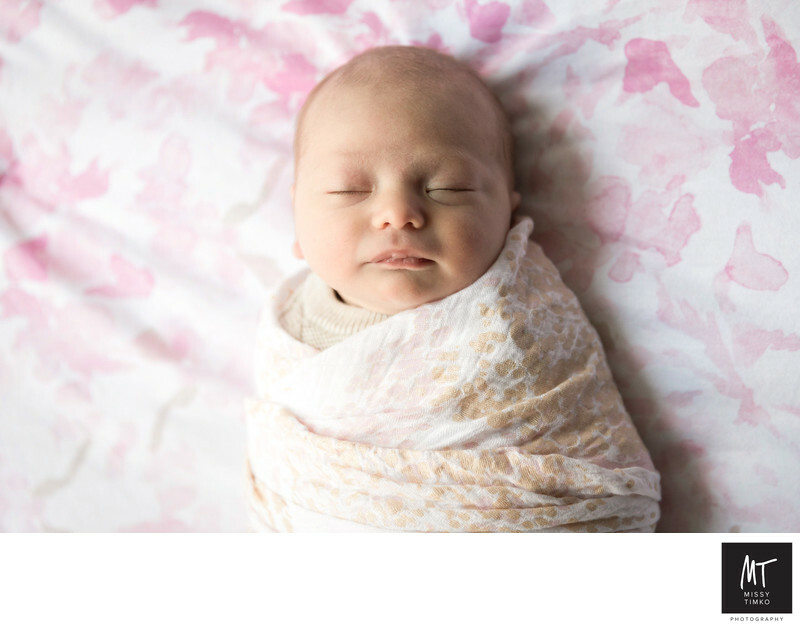 This serene newborn had her first portrait taken at her home in Mount Lebanon, Pittsburgh, PA. We love coming to your home to photograph your newborn baby and more often than not, it's simply easier than having baby and family travel somewhere during those hectic first few weeks of life. Please keep your house about 10 degrees warmer than usual to keep baby sleepy and comfortable with little to no clothing. Try to find a space with minimal clutter and lots of window light that we might use for family portraits (usually a bed or a couch, or in summer months, a porch or other outdoor space). We will usually do family and sibling portraits at the beginning of your session and then individual portraits of your baby for the rest of the time. Location: Mount Lebanon, Pittsburgh, PA.